Like a lot of other wannabe music critics, I sat down to write a Top Albums of 2016 list that would let me weigh in on what I thought the best new albums of a wild year in music were. As I got to reflecting on the past twelve months in music, I found that the new releases only represented a portion of my musical experience. How could I talk about my favorite new artists without mentioning the ones I had discovered (or rediscovered) in 2016? A major influence on my listening habits developed this year when I finally built up a respectable record collection, after years of exclusively downloading and streaming music. This development alone represented a bulk of my musical appetite, having found a new appreciation for classics that were made for the medium of vinyl in the first place. I couldn’t possibly talk about new music without at least mentioning some of my 12” favorites. 2016 was also the year that I got serious about digging into jazz, an art form that had largely escaped me for most of my life, despite my affinity for hip hop and basketball covertly grooming me for an appreciation of the improvisational nature of the genre. It also helped that I got to see some of the best live jazz in Charlotte in person each month through Jazz at the Bechtler. That’s where I choose to start this comprehensive, multi-part post detailing my year in music. I’ll start with jazz, go on to my favorite vinyls that I acquired in 2016, detail some of my least favorite albums of the year, shout out some of my favorites that didn’t make the Top 15 cut, show some love to the best local projects of the year, and finish with my Top 15 Albums of the year. 2016 was a year that probably won’t fade into obscurity any time soon, especially for music fans. It only makes sense that I document what the year in music meant to me, as it was probably one of the most significant years in my life in terms of musical development. Buckle up, readers. We’re about to depart on one hell of a sonic journey. In 2016, I listened to far more jazz than any other genre in total and 99% percent of those albums were certainly not made in 2016. Up until this past year, I hadn’t given the genre enough run despite being casually primed into jazz via years of hip-hop. I’ve also been lucky enough to be present for a year’s worth of #BechtlerJazz shows which let me experience the genre in its purest form. So to make a list talking about my favorite music of 2016, I’d be remiss to not at least include my top, let’s say seven jazz albums I’ve discovered in 2016. Also, for my friends that know jazz, hit me up and let me know what else I should be checking out. 7. 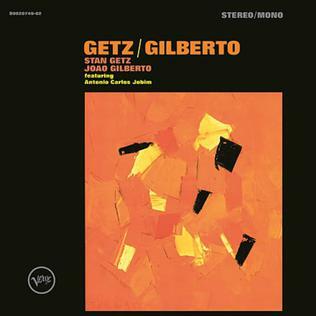 Getz/Gilberto: This is definitely one of the most fun listens you can have. Who doesn’t feel swanky when at a dinner party with “Girl from Ipanema” playing in the background? 6. Cannonball Adderley – Somethin’ Else: A true core collection type of album, it features Adderley, Miles Davis, Sam and Hank Jones and Art Blakey making seriously smooth sounds. 5. Wes Montgomery – Impressions: It’s really too bad that “guitar music” is seen as old and frumpy these days because Montgomery plays licks on this record that are still scorching the earth to this day. 4. John Coltrane – A Love Supreme: I’ve listened to this record prior to 2016, but I picked up a vinyl copy this year, dug into it more, and yet – still feel like I have a long way to go with discovering this album. 3. Grover Washington Jr. – Soul Box: The B side to this record has a 30-plus minute recording of “Trouble Man” that will literally take you out of this world. 2. Ahmad Jamal – Live at the Montreal Jazz Festival 1985: This is an incredibly clean, clear and crisp recording of one of fiercest jazz piano performances I’ve ever heard. 1. 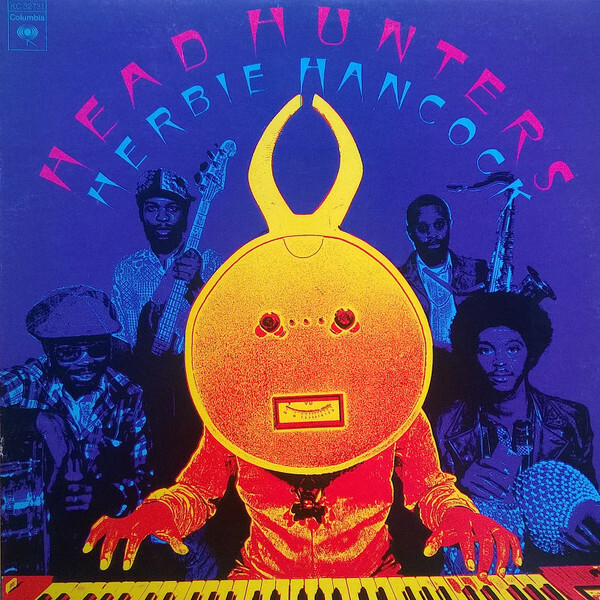 Herbie Hancock – Head Hunters: OK, so I’ve listened to this album way before 2016, but this year I got the vinyl and was able to listen to it properly, so perhaps that adds an asterisk to the top spot but hey – it’s my list. I have to shout out this record as being one of the funkiest and most mind bending albums out there, and Herbie Hancock as being such a master of the genre that he really becomes his own sub-style of jazz that absolutely no one has sounded like before or since. This entry was posted in Blog and tagged 2016 Music Year in Review, music, music reviews, vinyl. Bookmark the permalink.